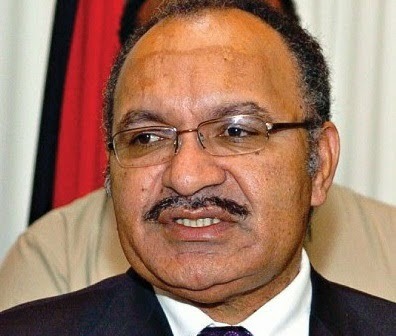 Port Moresby: PRIME Minister Peter O’Neill has accepted yesterday’s National Court decision to turn down his application for a stay order against a warrant of arrest in the K71.8 million Paul Paraka saga. He said he respected the court’s decision and maintained that he had done nothing wrong in connection with the payments to the legal firm. “The National Court today made its judgment which we as citizens of this country respect,” he said at Parliament House yesterday. Flanked by senior ministers of the Cabinet, O’Neill said he had sought the stay order to enable his team to determine if the fees paid to Paraka Lawyers were legal. “We feel that there is need to make more detailed examinations of the bill because we have only found out that there have been court orders in respect to the legality of those bills, which deemed that it was legal for the State to pay Paraka Lawyers. “As I’ve stated all along, this government did not engage Paraka Lawyers…it was engaged by the previous government. O’Neill said the warrant of arrest issued by the National Fraud Squad on him was “highly suspicious”. “We must not undermine the office of the prime minister because of investigations that are biased, that are not independent. “We have seen for a fact that the investigators were compromised in earlier cases, where they gave affidavits supporting the people they were investigating. “When those kinds of compromises are taking place, you have to question the integrity of the investigations. He said it had been “destruction to the nation for almost three weeks now when we have some very important international engagements taking place” – the Melanesian Festival of Arts, Melanesian Spearhead Group meeting and the Japanese Prime Minister’s visit next week.